Mobile devices like iPads in the classroom can be valuable learning tools for today’s tech-savvy students. Apple’s iPad has been found to be a very effective and engaging in education. But this is only true if these devices are integrated into the classroom in the right way. 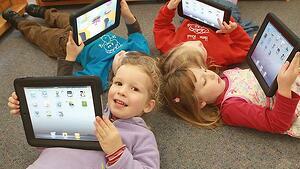 Simply having technology like iPads in the classroom just for the sake of having technology is not a good plan. Take advantage of all these fabulous gadgets have to offer by taking the time to plan a solution for your iPads integration. Check your school wireless network infrastructure. Make sure you check your signal strength and distribution as well as capacity. You will need a more robust school wireless network with a strong, reliable connection to support all those iPads in the classroom. 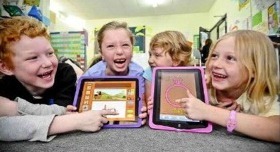 Before even buying the iPads get a plan in place as to how the iPads will be used for education. There needs to be specific goals laid out and thoughtful planning. Yes, iPads are cool, and yes, they can really increase engagement and enhance learning, but simply going ahead and funding all these iPads without a plan is a waste. Set goals, for your iPad implementation program and have a plan, because any technology no matter how great it is, is a total waste without a well thought out strategy. You’re likely to hear praise from your students is you make these cool devices part of the curriculum. Don’t forget that even though most students may be tech-savvy, don’t expect them to be able to operate the iPads perfectly and easily right away. You might need to hold a few training classes to make sure students are able to properly use them. You don’t want them getting lost in a lesson, becaue they can’t figure out how to work them. Teachers already have a lot of work on their plate. Many stay after school and take work home just to stay caught up. Add a new device and tell them they have to integrate it into their lessons and you might end up with some pretty mad and stressed teachers. 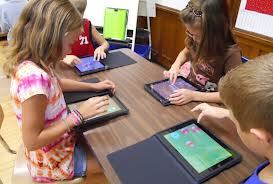 You need to approach teachers with the positive aspects iPads can offer and encourage them. Offer them training on the device and the resources they need to get familiar and comfortable operating it for learning. Show them different apps that can help make their life easier and give them plenty of time to get used to it before passing out the iPads to students. The iPads themselves are a whole other ball game to tackle. After getting the infrastructure to support them, there’s a lot to consider before bringing these devices to the classroom. Think of inventory options. Will students be able to take them home? How will you assign them to students? How will they be stored? What types of protective equipment options are there? All these details and more need to be carefully considered and laid out in a policy. When implementing iPads in the classroom there is a lot to consider, but with good solid plan it can be a great success and creating a lot of benefits for both educators and the students. If you’re considering implementing a 1:1 iPad plan at your school and have any questions or need help you may contact us here. We have worked with schools all over the country to bring great mobile devices like the iPad in education. Also check out our free eBook below for more help.